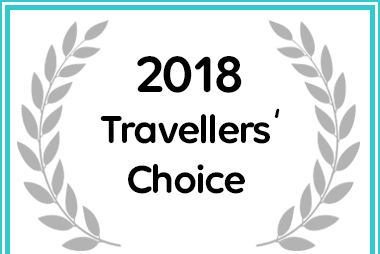 From exceptional customer reviews Zuider Zee Guest House Received an Afristay Travellers' Choice Award for 2018. 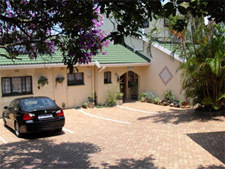 Zuider Zee Guest House offers affordable and comfortable Private Guest rooms en suite, B&B or self catering, and two self catering Log Cabins set in a lush, peaceful garden with lovely views of the valley below and the ocean in the distance. 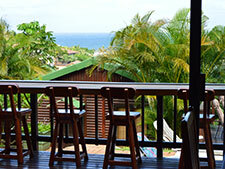 We are situated just 600m from the main beach of Salt rock and close to all amenities. All Units have a crisp fresh feel, with their own individual style and decor, private entrances, patio and Braai/BBQ facilities, TV’s and Coffee/Tea facilities. 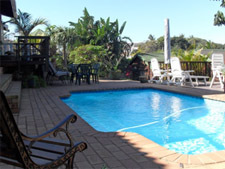 Serviced daily and supplied with Linen and Towels, Secure onsite Parking, Swimming Pool, all in a lovely garden setting. WiFi hotspot. 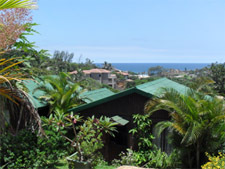 Choose B&B or self catering option in the week, and weekends are self catering only. Whether your aim is business or pleasure, honeymoon or a much needed breakaway, you will experience a warm and relaxed atmosphere. 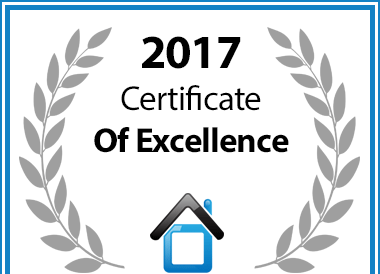 Zuider Zee Guest House in Ballito has been awarded a Certificate of Excellence in recognition of exceptional service.